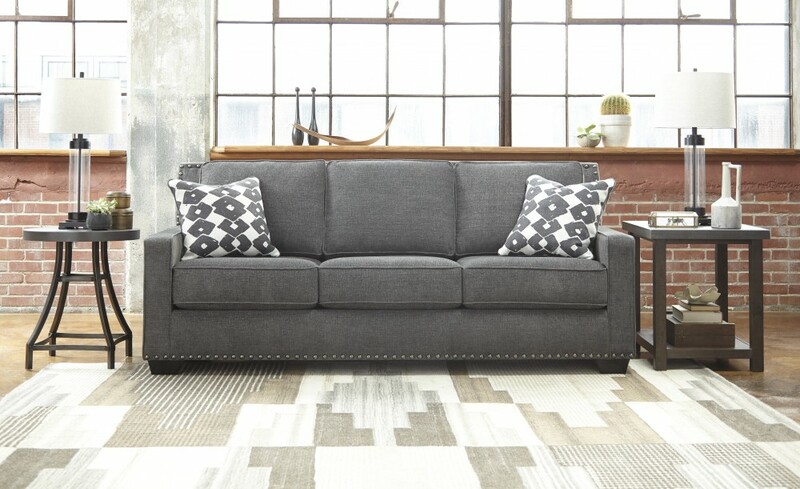 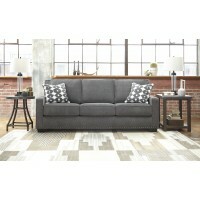 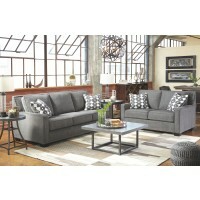 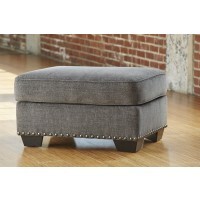 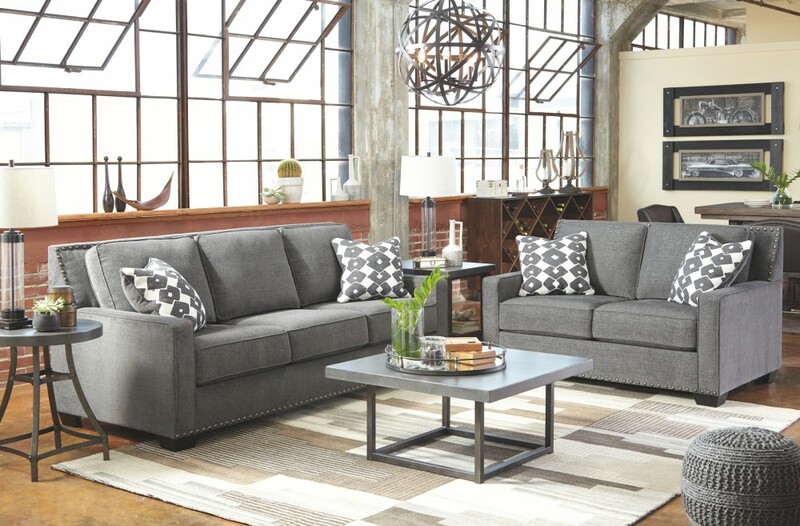 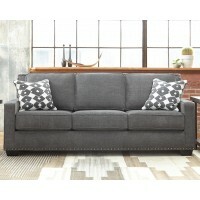 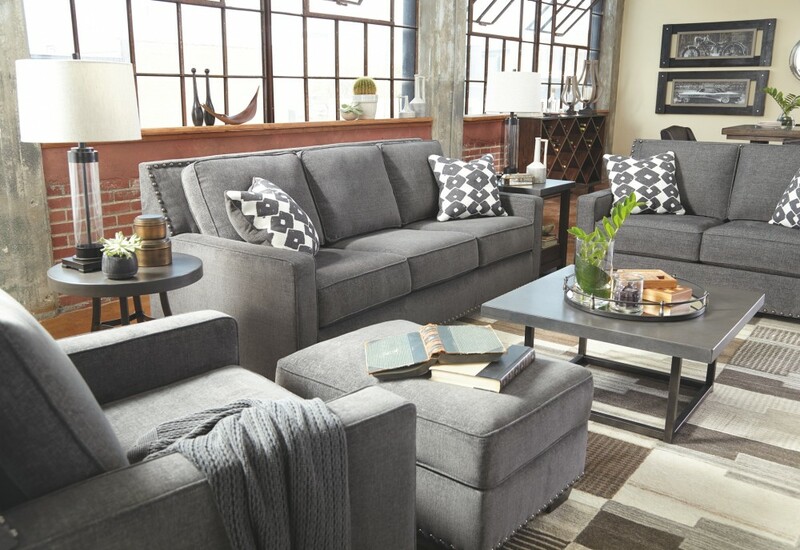 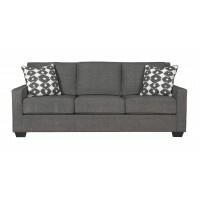 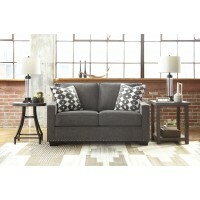 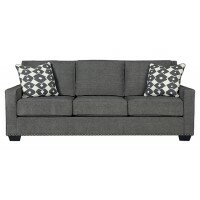 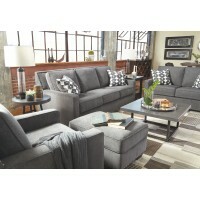 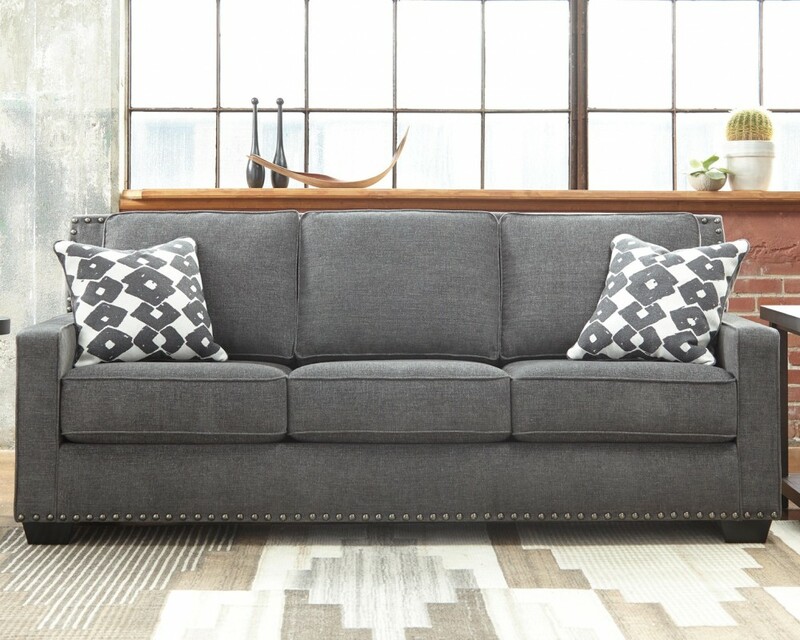 Embrace a higher form of style and comfort with this alluring sofa. 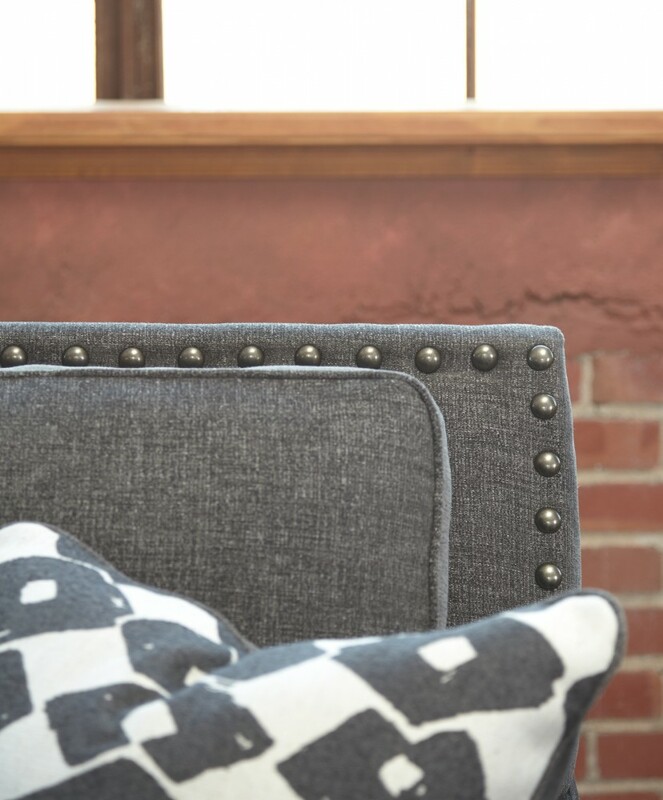 Blocky, linear profile is enhanced with low-track arms and punctuated with a top-and-bottom rim of silvertone nailhead trim. 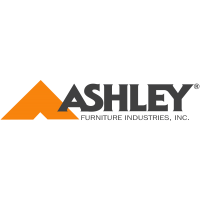 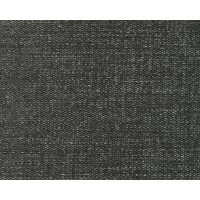 Seat cushions are not only reversible but also crafted with individually wrapped coils for extraordinary comfort and support. 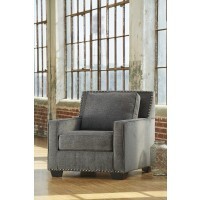 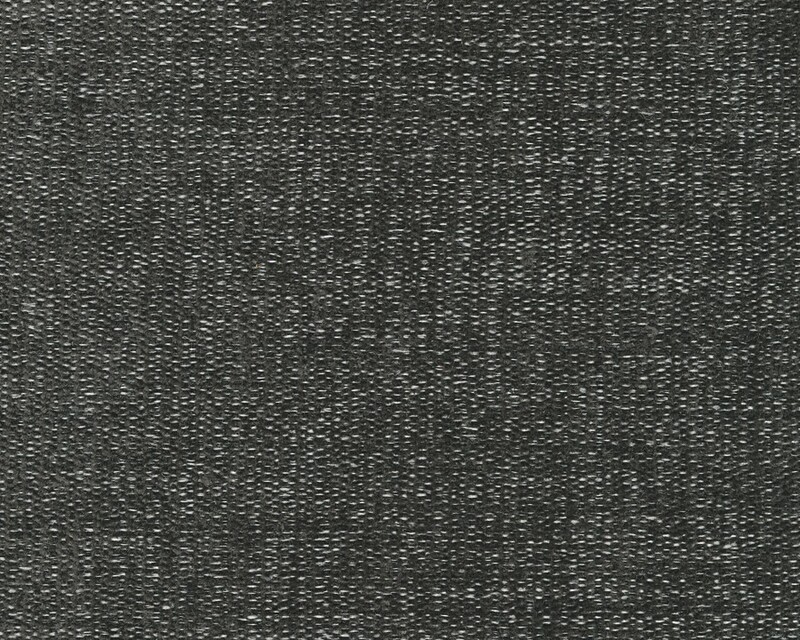 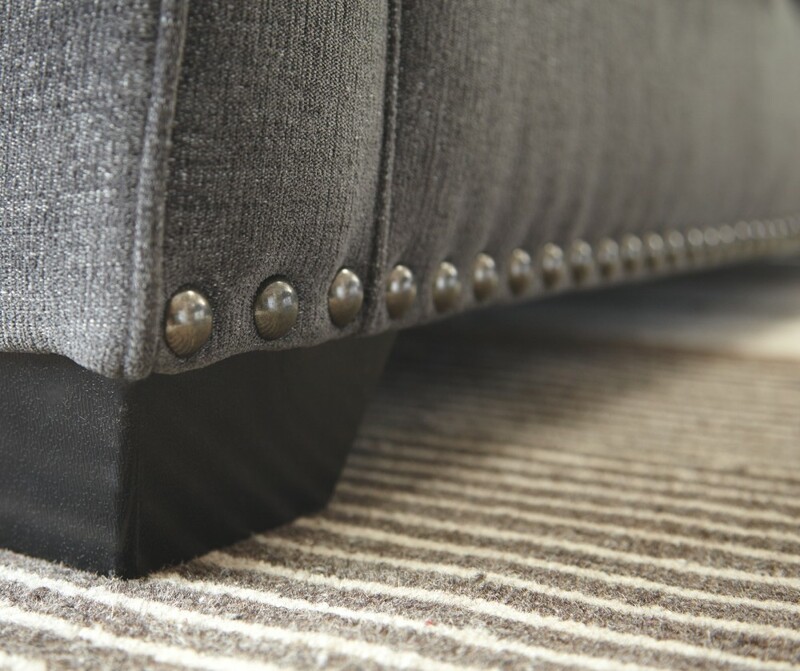 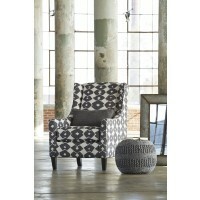 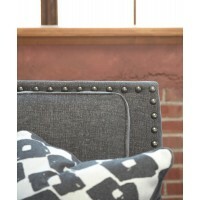 Richly textured, the steel chenille upholstery steals the show.